Powerblock’s adjustable dumbbells are very popular in the market. A lot of people believe that Powerblock’s models are among the very best that you can get. They are durable and easy to use. Nevertheless, there are several different models of Powerblock dumbbells, and they come with different features. In the following article, we will discuss the differences between Powerblock Classic vs Elite, which are two adjustable dumbbells that look very similar to each other. Even so, there is one important difference that sets the two apart. Powerblock Classic is one of the older models in the line-up. This is an adjustable dumbbell that showcases the unique, distinctive design of Powerblock’s dumbbells. It has a self-containing storage mechanism, which puts the handle and weights to nest within each other conveniently. As the effect, the whole item can be very compact and space-friendly. Powerblock Classic requires no extra space for storage, as the individual weight plates are integrated on the dumbbell. Still, it is recommended that you get a dumbbell stand in order to rack the dumbbell safely and efficiently between sets. See also our previous post: Bowflex 552 vs Powerblock Elite. In the fullest form, Powerblock Classic measures 12” long, 6” tall, and 6.25” wide. If you buy it as a pair, the two dumbbells may arrive in separate boxes. The first thing that you have to know about Powerblock Classic is that the weight range only goes from 10 – 50 lbs. It cannot be upgraded to a higher weight. This is the primary difference between Powerblock Classic vs Elite. The weight adjustment is with 5-lbs increments. The weights are precise and accurate. You can change the weight very easily by using the magnetic bar, which slides in and out effortlessly. It takes less than five seconds to change the weight, making it a very efficient and practical tool. 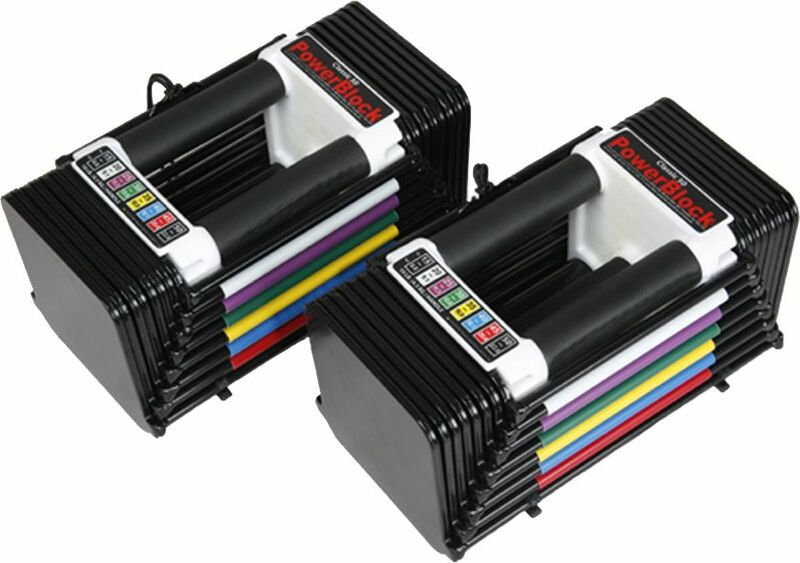 You may have noticed that Powerblock Classic comes with colored rails on its sides; these are actually color-coded rails which correspond with the weight adjustments. They make changing the weight very easy and intuitive. The manufacturer claims that Powerblock Classic replaces the need of at least nine pairs of dumbbells. Since the weight range is adjustable from 10 lbs to 50 lbs, it is indeed very practical. You don’t need to buy individual dumbbells to train and exercise your body. So, why would someone buy Powerblock Classic vs Elite? Of course, Powerblock Classic is available at a slightly lower price point than the Elite. This adjustable dumbbell is suitable if you only want to keep your body fit and in shape. The weight range is good enough for such purpose. In addition, it is a good choice for beginners who are just about to start. However, Powerblock Classic is not recommended for serious bodybuilders who want to develop their lean muscles further. This is because the weight range is limited to 50 lbs, without any option to upgrade to a higher limit. If you are a dedicated bodybuilder and you want to train further, you should choose a model with a higher weight range. In a glance, Powerblock Elite indeed looks incredibly similar to Powerblock Classic. For sure, it follows the same design and mechanisms. Just like the Classic, Powerblock Elite features a very easy and convenient mechanism for changing the weight. It also has color-coded rails that make changing the weight easy and intuitive. However, the size of Powerblock Elite 50 is slightly more compact. The dumbbell measures 12” long, 6” tall, and 6” wide. The optimized design is a good thing, but it is not really a significant factor. If you buy Powerblock Elite in a pair, the two dumbbells will also be shipped in two separate boxes. Compared to the Classic model, Powerblock Elite 50 is slightly more expensive. The higher models, Powerblock Elite 70 and Powerblock Elite 90, indeed come with higher prices. The primary difference between Powerblock Classic vs Elite is that Powerblock Elite is upgradeable. 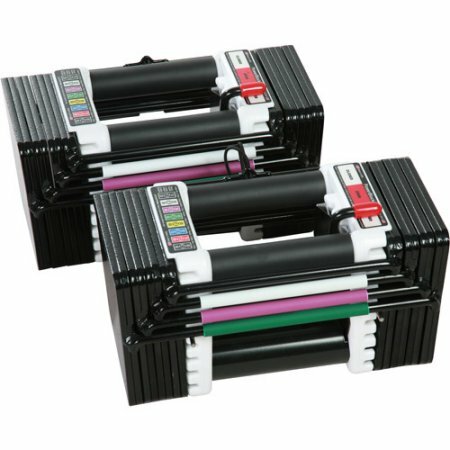 If you buy Powerblock Elite 50, which has a weight range of 5 – 50 lbs, you can expand it later to 70 lbs or 90 lbs. Or, you can buy one of the expanded versions right from the start (Powerblock Elite 70 or Powerblock Elite 90). In addition, Powerblock Elite comes with more precise weight increments. Each dumbbell comes with a 2.5-lbs adder weight which is handy for micro-loading the weight adjustment. You can set the weight to be more precise according to your needs to train and challenge your arm muscles. According to the manufacturer, Powerblock Elite 50 replaces the need of at least 16 pairs of individual dumbbells. This is because the wider weight range and more precise weight adjustments. Meanwhile, Powerblock Elite 70 replaces at least 22 pairs of individual dumbbells, and Powerblock 90 replaces at least 28 pairs of individual dumbbells. Powerblock Elite is much more recommended for athletes, people who are serious in bodybuilding, and those who want to develop big, lean muscles. This is because of the expandable design. If you have a limited budget, you can start with Powerblock Elite 50 and upgrade later to Powerblock Elite 70 or Powerblock Elite 90. The higher weights are needed for training and developing the muscles further. However, Powerblock Elite is not recommended for people who just want to stay fit and in shape without any interest to more intensive muscle exercises. There is no point in having an expandable dumbbell if you are not going to use the higher weights at all. If this is the case, Powerblock Classic makes a more efficient choice, money-wise. 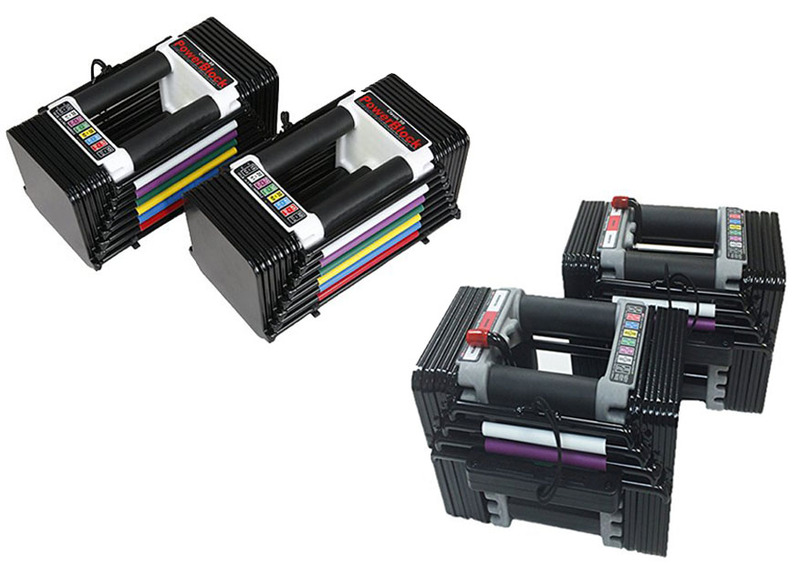 The primary difference between these two models is that Powerblock Classic is not expandable, whereas Powerblock Elite is expandable to 70 lbs and 90 lbs. In addition, Powerblock Classic only has 5-lbs increments, whereas Powerblock Elite can be more precise with 2.5-lbs increments. Powerblock Classic is recommended for beginners and people who just want to stay fit and in shape, whereas Powerblock Elite is for more serious bodybuilders who want to train the muscles extensively.